Tribal CelebrationEvangelism is at the heart of the mission. The Word talks about ‘love’ being the greatest virtue. The Father so ‘loved’, that he sent His only son. Now we are called to do as He commanded us: to bring His love to the lost in the form of His son Jesus. 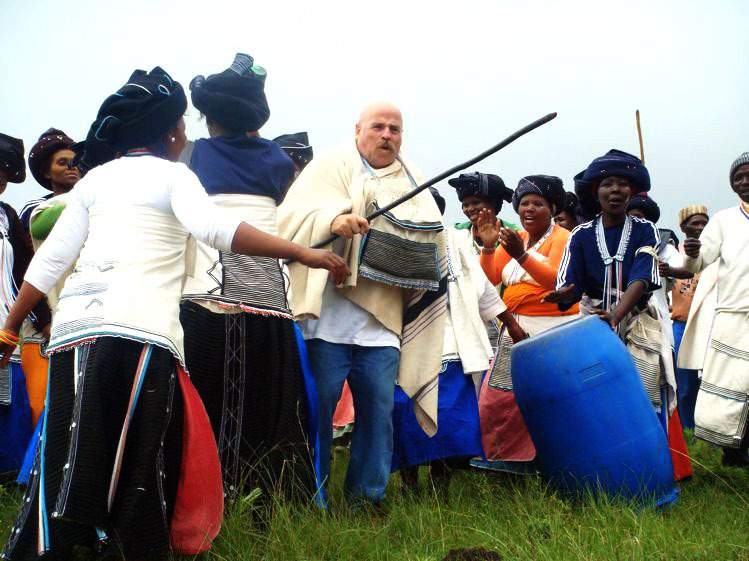 Immediately after arriving in the Republic of Transkei, the Koskys began seeking unreached villages and sharing the Gospel with those who have never heard about Jesus. This truly was good news. As the Koskys would continually bring the Light to remote Xhosa villages, the Lord not only redeemed souls, but He also changes lives. The Lord is wanting to bring hope to the hopeless, and joy and life-change to those in darkness. At first, evangelism was done by going from village to village sharing the Word in the tribal huts. These gatherings quickly grew and the Koskys purchased a small tent to hold revival meetings. The word was spreading and growing and the small tent soon would not facilitate the huge crowds of people. The Koskys then purchased a very large tent that would hold over a thousand people. But the crowds kept coming. The sides were taken off of the tent to allow the words to spread to an even larger crowd. ‘Campus Crusade for Christ’ heard about the revival that was taking place in the Transkei as a result of the Kosky’s evangelism, and they presented the Koskys with “The Jesus Film” in the Xhosa language. Projecting the “Jesus Film” to a people who may not have ever have seen a light bulb was a phenomenal success. Wherever the mission would show the Jesus Film, people would come from miles away to see a projected film and hear the Gospel in their own language. The demand for the Gospel to be delivered to the tens of thousands of unreached villages far exceeded their ability to spread the Good News to the hidden villages of the Transkei. Accordingly, the Koskys have developed many teams that reach these villages on a regular basis. The Koskys believe that the greatest gift we can give to the African people is the Gospel of Jesus Christ. The Koskys could easily sit back and take pleasure in all the work the Lord has done, having reached over 1000 villages during their time in Transkei. Yet in reality, the mission is only scratching the surface; there are still tens of thousands of hidden villages that haven’t had the chance to hear the Good News. There are many teams that have been developed by the mission to continually go out and find the lost but the need is still great. Evangelism is at the heart of this Mission. As their God-given calling, reaching out to the lost is at the core of how the Lord is working through the Koskys. From humble beginnings, to a leap of faith into the Republic of Transkei, God’s desire of bringing hope to a dark and hopeless world is being fulfilled. The Koskys have seen tent revivals expand far beyond capacity. Screening “The Jesus Film” in the Xhosa language has drawn many from miles around. The Gospel is being preached and souls are being saved.